There’s nothing better than getting into the festive spirit! Whether it’s tackling the Christmas shopping or simply admiring the colourful festive displays up and down the country, there’s something for everyone this time of year. Families in particular are well catered for at Christmas, with festive markets, Santa grottos and special events all on offer. We’ve rounded up some of the biggest and best family events happening this Christmas so you and the little ones can make the most of the festive season! 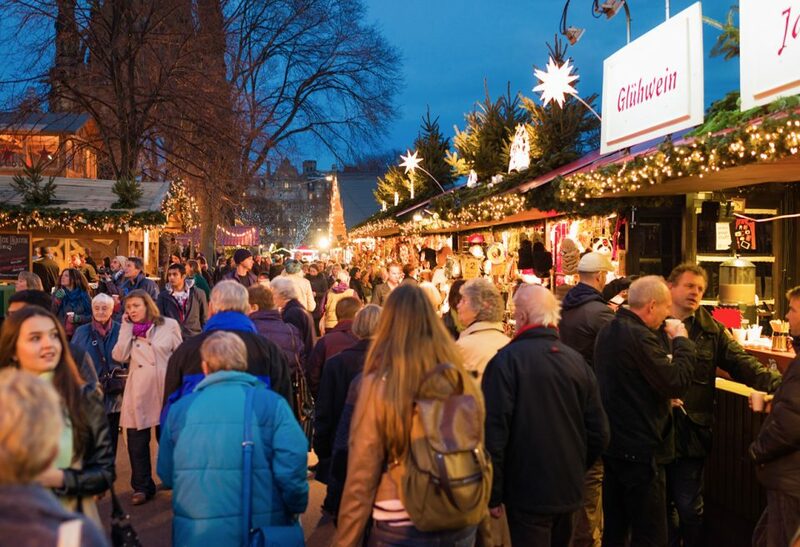 Christmas markets are always a firm favourite with families, with so much to see and do. Shop for handmade trinkets, keep warm with some roasted chestnuts or enjoy parading choirs singing Christmas carols. You can find Christmas markets all across the UK, from Winter Wonderland in Hyde Park – which boasts plenty of shops and food venues, as well as an ice bar and circus shows – to Bath, whose market includes a whopping 170 stalls and an ice rink! Celebrate the shortest day of the year on 21 December by making your own paper lantern and parading it through the streets of Brighton. This annual event is hosted by Same Sky, who provides lantern building kits for people to use. After the procession, the lanterns are burned on a central bonfire, symbolising the passage of time and inviting participants to think ahead to the New Year. It’s good fun for the whole family, and makes quite a sight! It wouldn’t be Christmas without meeting Santa! If you want to pull out all the stops this Christmas, then pay a visit to Lapland, where Father Christmas and his reindeer will be waiting to greet you. Children will be able to see Santa’s elves at work making toys, as well as go ice skating and decorate fresh gingerbread houses with Mother Christmas. To top it all off, every child who visits Lapland will receive a present from Santa himself! Make a weekend out of it and book a hotel in Ascot. For an extra dose of magic this Christmas, visit the Harry Potter Studio Tour in Watford during 19 November – 29 January. Many of the Harry Potter sets will be decorated for Christmas, including the original Great Hall, where 12 Christmas trees will be erected, along with tables laid with delicious-looking prop food. The Hogwarts castle model will also be decorated with artificial snow, making for a breathtaking view that the whole family is sure to love. 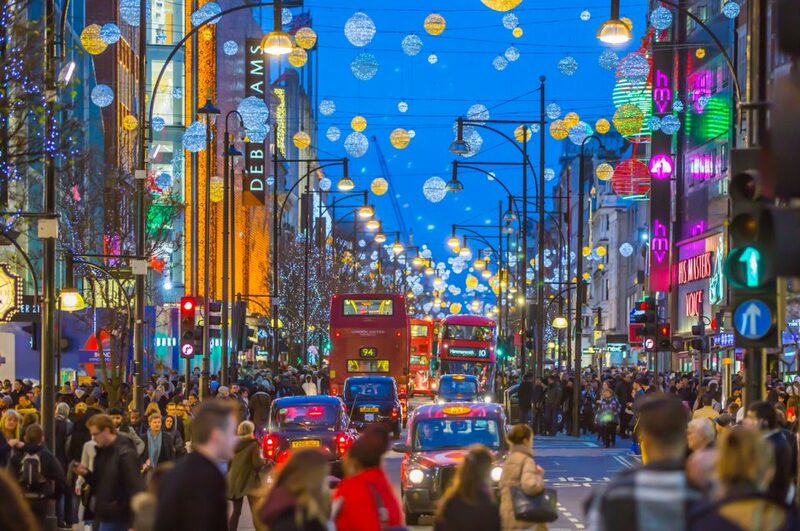 Combine a spot of Christmas shopping with some sparkle when you visit Oxford Street during the festive period. Everywhere you look the street is lit up with incredible Christmas displays, which won’t fail to astonish you once the sun sets. Oxford Street is also home to many shops, including one of the world’s greatest toy stores, Hamleys, so you and the whole family are bound to be entertained. If you want to make a weekend out of it, why not book a hotel nearby? The post Festive Family Events this Christmas appeared first on TravelRepublic Blog.